Baby Cake Smash Stockport is the new way to celebrate your little one’s 1st birthday. Cake smashes are one of my most popular sessions and they are so much fun. 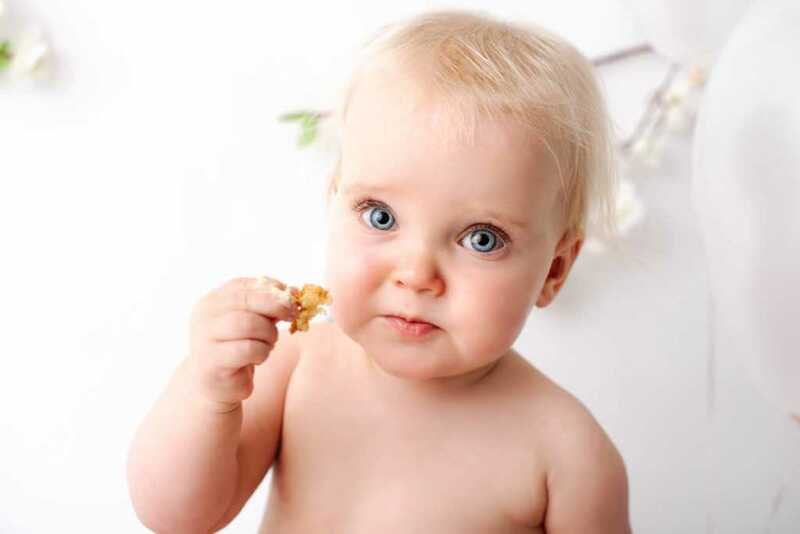 Some people love the idea of a photoshoot with a cake and decorations; other parents opt for more simple images. What is a Baby Cake Smash? 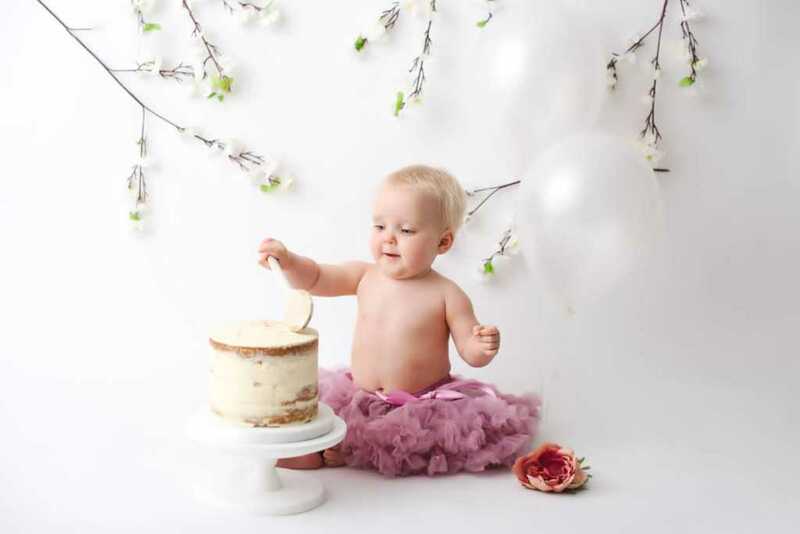 A Baby Cake Smash is a photo session with a cake in short. At the start of a 1st birthday shoot or cake smash I take some clean shot images. 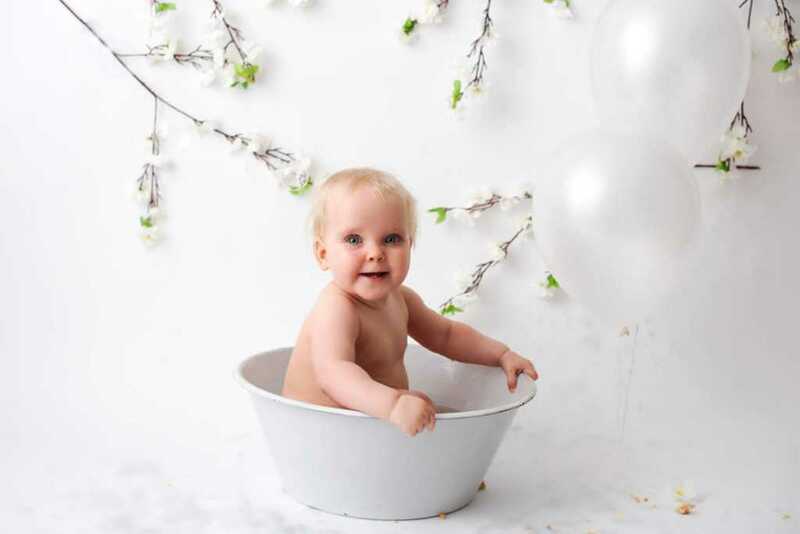 I recommend to parents that they bring an outfit for the clean portraits and then something different for the cake smash. For girls this will usually be a dress to start and then a tutu to follow. For boys, normally a shirt and trousers, followed by a naked chest and pants, or a little cake smash outfit. 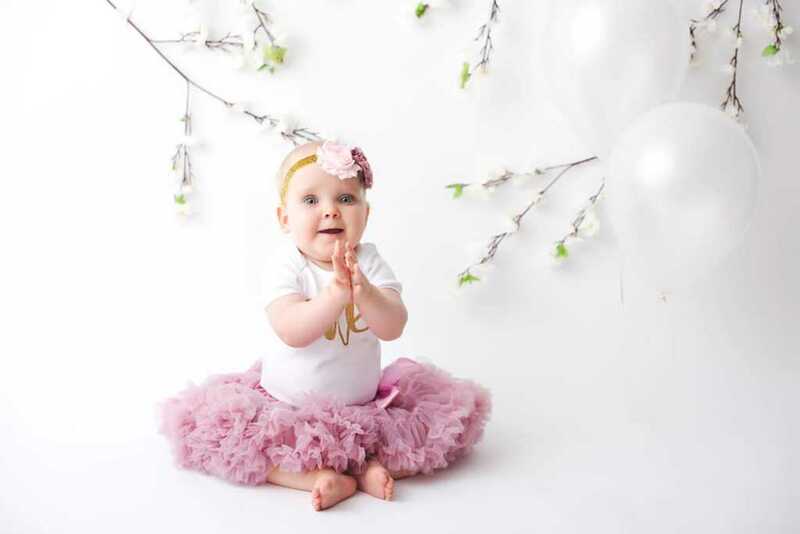 Beautiful Beatrix here had a gorgeous tutu and baby vest with ‘one’ across it and a matching headband. When it came to the cake smash element Beatrix wore just the tutu and headband to give a different look. 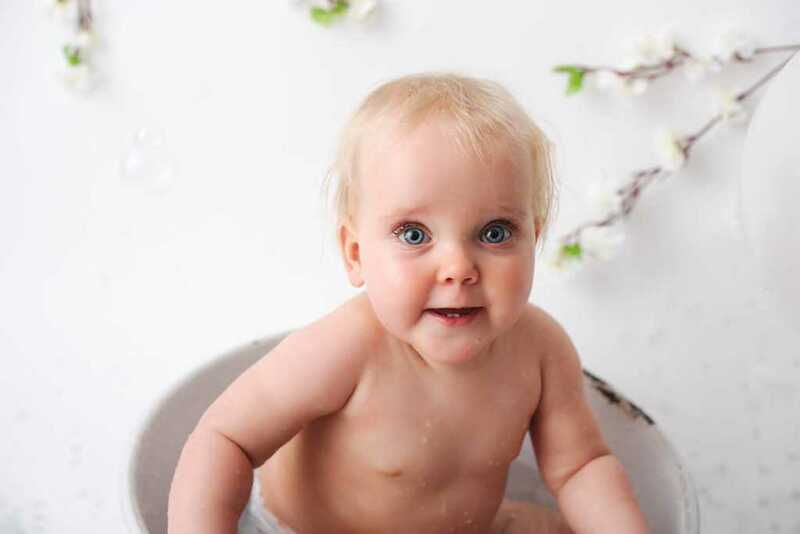 What do I need to bring to my Baby Cake Smash Stockport session? All you need to bring to your session is your beautiful baby in a great mood! That’s no big ask, right?? I will call you before your photoshoot to go through everything. I always try to arrange a time for your Baby Cake Smash around your baby’s nap time. This means a happy little one and lovely baby cake smash photos. The cakes which come from the wonderful Janine at JanCara cakes in Stockport are all included in your package. I offer various set-ups and colour schemes so again your decorationa are all included too. I want the experience to be as stress-free for you as possible as life with a 1 year old can be challenging at the best of times. After the clean potraits at the start of the session which can include sibling photos and family photos we move on to the Cake! 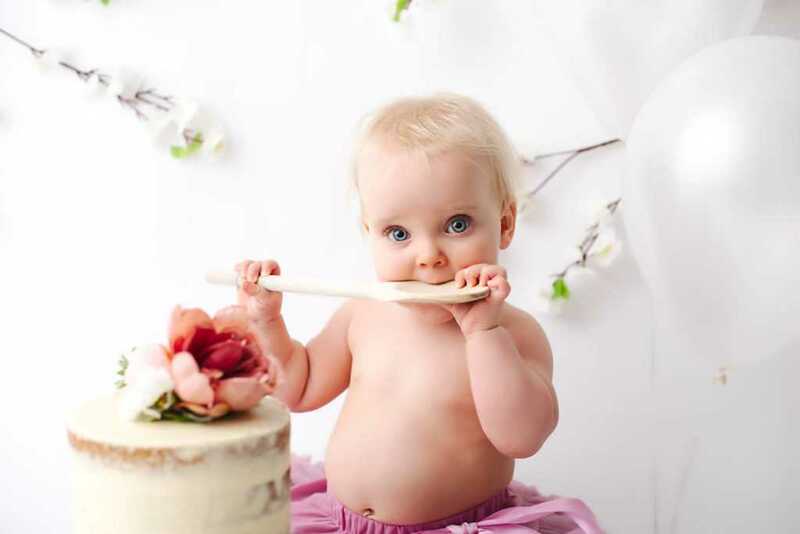 Your baby can enjoy their special birthday enjoying a whole cake to themselves. Whether they choose to bash it, prod it, eat it…or simply ignore is their choice entirely. After all that fun the session ends with a splash in my little bath tub with bubble time too. 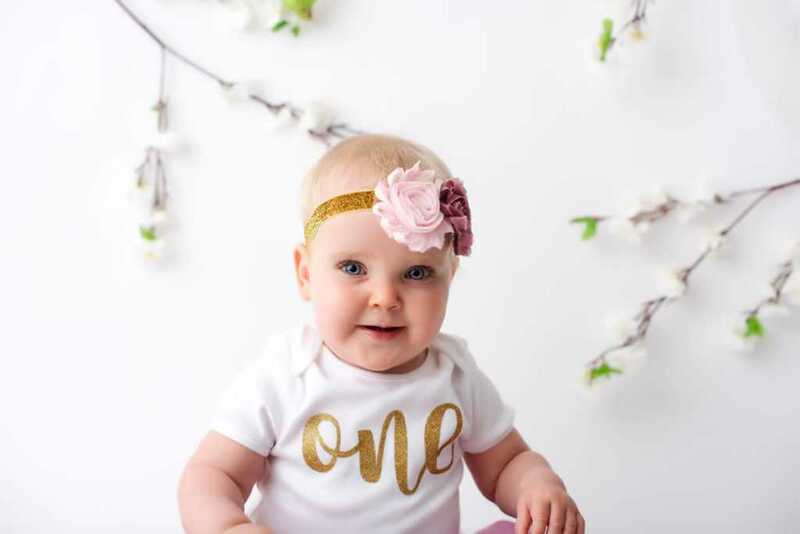 It is the perfect way to celebrate your baby’s 1st birthday. Beatrix came for her birthday session in December. She literally has the most piercing and beautiful blue eyes I think I have ever seen. You can’t help but be captivated by them. Beatrix and her mummy and daddy travelled from Marple in Stockport for their Baby Cake Smash session and when I showed them their images at their viewing session mummy’s eyes all welled up. That’s a job well done I think! To book a Cake Smash for your baby’s 1st birthday then please call me on 07422528951 or send me an email nchopesphotography@outlook.com and we can get planning your baby’s 1st birthday photography photoshoot.